Che Fu (born Che Rauhihi-Ness) is a Māori-Niuean hip hop, R&B, and reggae vocalist. Che Fu (Che Ness) is one of New Zealand's most successful male vocalists. He began his music career at high school with a group of friends in forming the Low Down Dirty Blues Band, which went on to change their name to Supergroove. While a member of Supergroove, Fu went by the name Che Ness. Supergroove's award-winning debut album Traction went triple platinum in New Zealand. Supergroove struggled with the success of Traction, and soon altered their musical style. Follow-up EP Tractor introduced a heavy rock influence, and although Ness was still a band member, his interest in hip-hop and reggae was running against the evolution of Supergroove. Before recording their second and final album, Backspacer, Supergroove significantly altered their line-up. Ness was one of three casualties and turned his attentions to hip-hop. One of Ness's early hip-hop shows was billed as "Che-Fu", a take on kung-fu. Although not originally intended as a new name to record under, it stuck. The hyphen seems to come and go - it is used on one of three album covers. Within weeks of leaving Supergroove, Che Fu was invited to record a single with DJ DLT. The result, Chains, focussed on French nuclear tests in the South Pacific, and was a New Zealand number 1. In 1998 Fu released his debut solo album 2b S.Pacific with BMG. At the 1997 New Zealand Music Awards Che Fu received the single of the year, songwriter of the year and male vocalist of the year awards. He then signed to Sony Music and began work for his next album Navigator released in 2001. He also formed an eight piece live band called The Krates. 2005's Beneath the Radar was led out by singles 2D and Lightwork. Beneath the Radar sold poorly and became Che's first flop. He has now released a Best Of album Hi-Score: The Best Of Che-Fu. 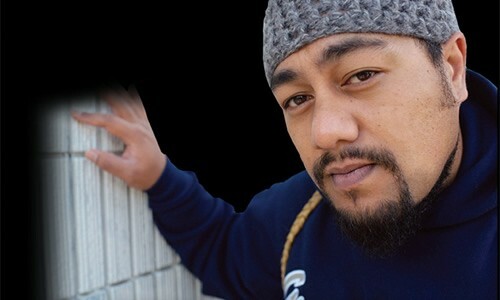 Fu is the son of one New Zealand's founding reggae musicians, Unity Pacific (Tigilau Ness). Tigilau often accompanies him as a member of The Krates. Recently, Che Fu has teamed up with the Glass Packaging Forum to promote glass recycling with youth. They hosted a competition for 9 to 15 year olds to write rap lyrics to encourage recycling, and the winner would record their lyrics with Che Fu.